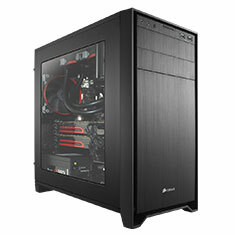 The Obsidian Series 350D Micro ATX PC case is designed for building compact high-performance systems with Micro ATX and Mini ITX motherboards. 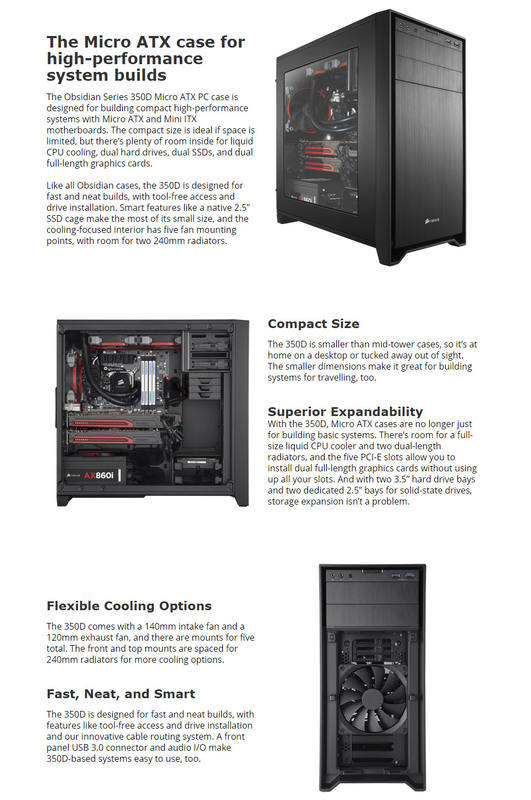 The compact size is ideal if your space is limited, but there's plenty of room inside for liquid CPU cooling, dual hard drives, dual SSDs, and SLI/CrossFire ready. * Corsair components for illustration purposes only. Product is case only.